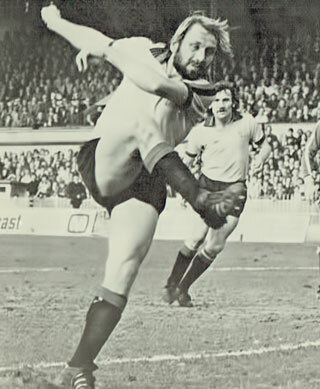 Midfielder Roger signed from Aldershot in 1974. He went on to play more than 200 games for the club and enjoyed promotions under Graham Taylor from Division Four and Division Three. In 1979 he signed for Reading. 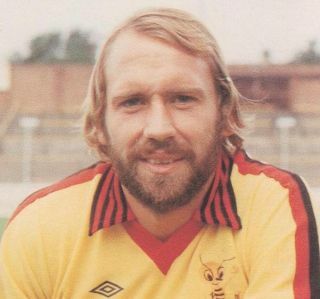 Having set up a furniture business following his retirement from football, Roger is now acting as a consultant and spoke to Watford Legends in 2009. Hi Roger, thanks for talking to Watford Legends. How did you come to join from Aldershot? It was really about me moving to a better standard of football. I felt it was a step up and I was slightly nearer home. Watford seemed to be a better club and seemed to have a lot of potential. You signed for Mike Keen but soon enough Graham Taylor arrived. How did you find that transition? Chalk and cheese really. When I moved from Aldershot from Watford I expected the club to me more professional about how they did things but Aldershot were better. Then Graham Taylor came in and shook the place up. He turned it round from being an amateur club to a professional club. Was it amateurish because of the relative inexperience of Mike Keen? No it wasn’t down to Mike. Mike was a very nice man and loved his football. It was the whole set up of the club that needed somebody with a strong personality to sort out. For Elton to get Graham on board was a fantastic signing. You were one of those horrible players…. I was probably one of those players where it was better if I was on your side than against you! But it was how I had been brought up. I’d started life as a full back and believe I could have gone further in my career if I’d stayed there. I was moved to midfield and it didn’t suit me as much. You played over 200 games for the club. Was there a division that suited you most? Not really. Although I was disappointed I didn’t get a chance to pit my wits against the best players in the top league. I believe that I was up to the challenge and would have liked to given it a go. The problem I had was that I often had problems with my hip. That meant it was always a struggle for me. 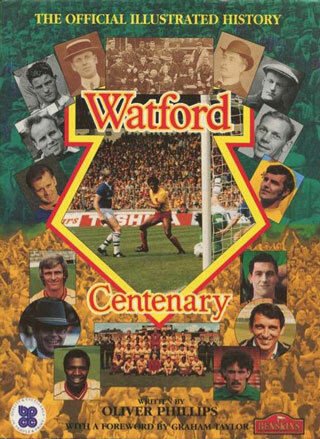 I would like to have been a bit younger when Watford got to the top division. I was asked to sign for Leeds United when I was 15, and also Ipswich, where my friends were. Players such as Mick Mills were in my age group and also Bobby Robson was there managing, and I believe that if I’d made the move to either of those clubs (from Colchester) I could have gone further under their stewardship, but it wasn’t to be. Colchester couldn’t agree deals with them. Playing in midfield you had a number of partners. Any players you enjoyed playing alongside? I enjoyed playing alongside Dennis Booth. He was a very honest player and I think we complimented each other well. Dennis was great. You chipped in with the odd goal. Was it a big deal for you to score? Not really. I never set myself targets to score any number of goals in a season or anything like that. I played over 500 games in my career and never had a great ambition to score. I only wanted to win and was never happy if I’d played well but we’d drawn or lost. You had some great strikers in front of you, including a young Luther. Yes we had some boys up front like Luther who had some fantastic strength, and it was always good to see them score. You moved to Reading after Watford. Why Reading? I didn’t have to move home, and that was important as my children were at school and also we were settled in the Watford area, hence why we still live here now. I also had the opportunity to sign for Swindon but they were not prepared for me to travel, which is understandable. So that’s why I went to Reading. In 1981 you retired from the game after your hip got the better of you. Did you see it coming? Yes I did. I started at the bottom at Colchester, which was a poorly run club. I went to Aldershot to make a move and I knew the coach and had a good time. Then on to Watford where it was fantastic. I then went to Reading and didn’t have the interest in it. It was like turning the clock back to Colchester. Poor training, poor facilities, poor travelling and generally badly organised. I really didn’t like it. Since you retired from football you’ve gone in to the furniture trade. That’s right. I set up a small firm where we make fitted furniture for kitchens, bedrooms, studies – that sort of thing. I had about 20 people working for me in all trades. Last year the people working for me have bought the business from me and now I act as a consultant. I have also got involved in outside furniture like nice decking and so on. I was at the Scunthorpe game courtesy of the Legends club. And I’ve been a couple of times with a neighbour who has a couple of season tickets. Up until I got a call from Neil Price, I had only been to about three games since I packed up playing. I made a decision may years ago that I would concentrate on my business and build it up, and I didn’t want to be one of those who hung around talking about all the old days. It used to drive me mad when I was playing and the old players would be knocking about. But now that I’m semi-retired I can relax a bit and take in a few more games. And I’m delighted to see that Graham is back as Chairman. He is a Watford man through and through. Graham is exceptional and a man you can trust. Football does drive me mad though – where’s the competitiveness, the crunching tackles and give-and-take? !